← From The Top: Do You Rivet Your Guests with a Short Story? Click this button to register & save your spot now! Raise more money. Engage new donors. 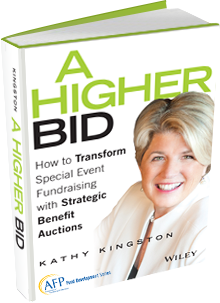 Take your fundraising charity auction to the next level now. This entry was posted in Video Series – Fundraising Auction Video and tagged fundraising auction, non profit, special event fundraising. Bookmark the permalink.